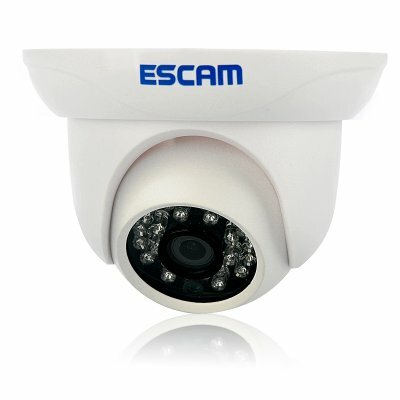 Successfully Added ESCAM Snail QD500 IP Camera - 10 Meter IR Night Vision, Weatherproof, ONVIF Support, Dual-Stream Encoding to your Shopping Cart. IP cameras are an easy way to provide you with daily security and as this is ONVIF compliant it would be a great way to enhance your current system. 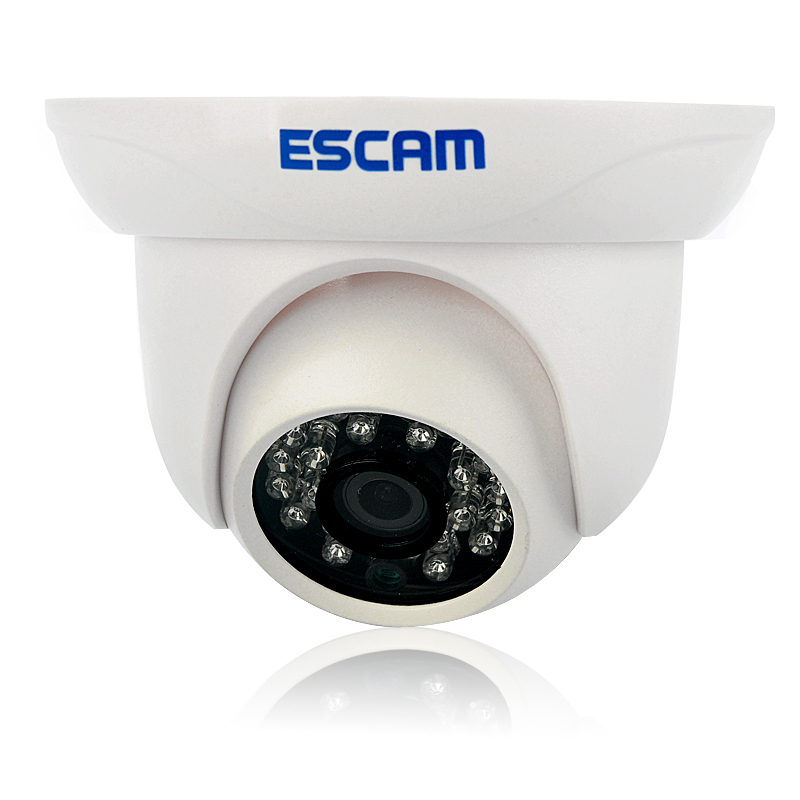 This ESCAM Snail QD500 is a compact IP network camera. It has MJPEG and H.264 Dual stream encoding and a 1/4 inch 1 Megapixel CMOS camera that captures video at 720p giving great images. The camera has a 70 degree viewing angle so can cover a large area and because of its light plastic case it’s durable and has a waterproof design that makes it suitable for indoor or outdoor use. There is support for mobile phones so once setup you can use your Android or iPhone to check in on what the camera can see at any time you like and as its plug and play it’s easy to brining you extra security in no time. It can automatically switch between day and night modes and with IR night vision of up to 10 meters you will get great pictures around the clock. It is fully compliant with the ONVIF standard ensuring compatibility with software and hardware from over 200 companies giving you greater freedom to setup your own secure security system. The Snail QD500 will provide you with high resolution images and video making it suitable for all you security needs weather they are for home, office, shopping mall other locations this IP camera is up to the job. I today get.very good box.very nice ESCAM Snail QD500 IP Camera . the ESCAM ,I don't use smart phone. I scanning of code,but I wrote this after ID scan: GET CHANNEL FAILURE.???!!! What strong now? can yuo help me?I would like use this camera on my in smart phone us would like.